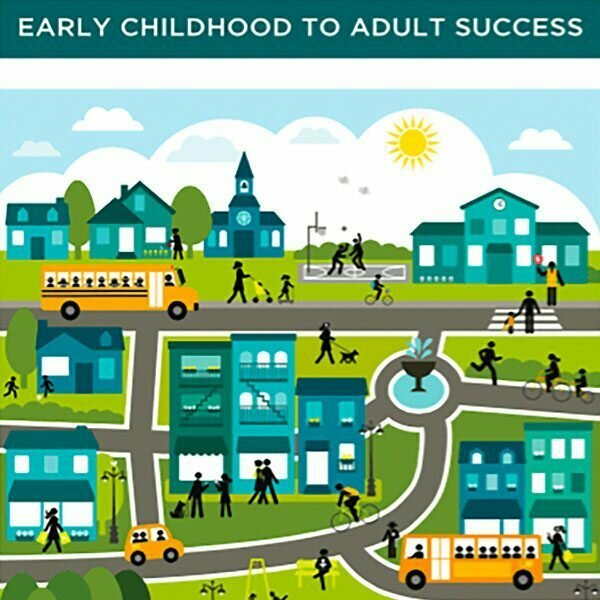 The Weiss Institute partnered with the Texas Education Agency, United Ways of Texas, and Texas PBS for a convening centered on the theme of Building Pathways to Thriving Communities: Early Childhood to Adult Success. Along with national leadership partners from the College Promise Campaign, the National League of Cities and Prosperity Now, over one dozen communities from across Texas came together for 48 hours to develop strategies and ideas designed to ensure all Texas children advance along the pathway from birth to adult success. In addition to guest speakers that included New York Times Best-Selling Author Wes Moore, Executive Director of the College Promise Campaign Martha Kanter, and Managing Director of the Campaign for Grade-Level Reading Ralph Smith, the collaboration brought together more than four decades of collective expertise, lessons learned, and deep field-based work. It galvanized a powerful coalition committed to helping all children succeed, and to working collaboratively with cities to build youth-centered communities and college-going cultures. The convening provided time for community work, cross-community discovery, and access to a wide range of subject matter experts, all designed to help community representatives explore ideas, discover new resources, dive into analytics and build plans to continue the work when they got home.